All Eagle Creek homes currently listed for sale in Eagle Creek as of 04/21/2019 are shown below. You can change the search criteria at any time by pressing the 'Change Search' button below. If you have any questions or you would like more information about any Eagle Creek homes for sale or other Eagle Creek real estate, please contact us and one of our knowledgeable Eagle Creek REALTORS® would be pleased to assist you. "Gorgeous 30 acres with log-style home and matching out-buildings including: 3-car garage, 1000 sq ft guest house with attached barn/ horse stalls (6), detached office and sauna, 48X16 shop. Marketable timber plus 8 acres of timber that is 10 years old. Pasture for horses. Garden and greenhouse structures.Home features stunning rock fireplace, wood beams, railroad ties on the stairs, and master on the main. Outdoor kitchen too!" "Historic Glover Century Farm (circa 1849)and Home(1933). 15.3 acres, can Sub-Divide. County app'd in 2008 3 parcel sub-div. for septic/plat. File #Z034408M. Buyer to do own due diligence w/Clackamas County. Beautiful, rustic 3b, 2ba home, new kitchen cabinets, circ. dway, u/g pool, 40x60 detached shop, 68x32 2-story barn, blue berry tax def., over sized garage w/ loft." "Great horse property 2 stalls w/ possible 4 in barn w/ tack room & storage. Can access nearby riding trails. Spacious family home, great for entertaining. Many updates: roof, gutters, balcony off master, tiled open entry, stairs, expansion of LR, windows, stone on front. Updated plugs, doors, 8ft garage door w/opener, newer well&septic pumps, 2heat pumps, water heater & appliances. Central Vac. Fruit trees. Bus line to PDX 1 block away." "Enjoy a beautiful view of Mt. Hood from this private retreat in Eagle Creek. Upper Level~Master w/Ensuite, walk-in closet, Huge 2nd Bedroom,Family Hall Bath,Kitchen w/Quartz & Living w/Wood Burning Fireplace. Lower Level~Large Bonus room w/Pellet stove, Huge Laundry Rm w-1/2 Bth, and 3rd Bed. TWO SHOPS Concr Fl~Mechanics DREAM~40x60 w/radiant heat, 220 Vlts, CAR LIFTS NEGOTIABLE! 2nd SHOP~36x42 power/plumbed for H20-Electric gate"
"Custom built high-end NW Entertainers Home! Designed by renowned local chef, w/exacting standards! 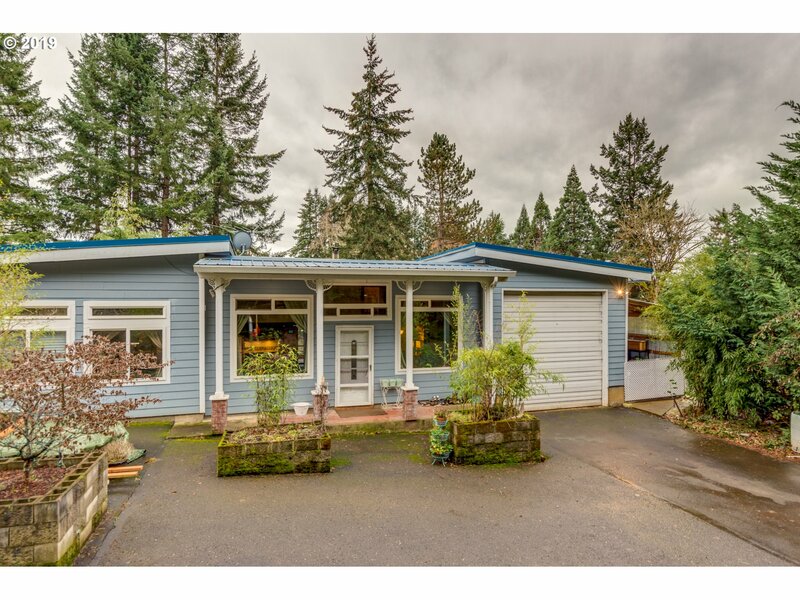 Large open floorplan complete w/vaulted cedar ceilings, hardwood floors, cabinets & built-ins, gourmet kitchen, eating bar & nook, expansive dining room, spacious living room, huge wrap around deck, all w/a beautiful Mt Hood view! Master bedroom with fireplace, jetted tub, walk-in, & vaults. All on a 3-acre lot w/a beds & manicured yard." "Beautiful Home and Great Country Living. Quality abounds! Gorgeous wood floors thru-out open living area, kitchen is beautiful with new tile, granite, stainless steel appliances, pantry. Amazing Master Suite with coved ceilings, huge bath & Jacuzzi tub. Watch deer, birds, quail from dining room or under covered patio! 45X48' shop with 220, 4 bays, sink, power doors. Raised gardens, fruit trees, berries. In tax deferral w/ X-mas trees." "PRICE REDUCTION! !If sipping a cup of coffee on your wrap around porch with a view of Mt Hood, makes you smile, than this may be your perfect home. From the charming character of the early 1900's farmhouse, to the 5 acres of endless opportunities... this home will leave an impression on your heart. Come experience this place of retreat that you could call your own. (water rights included)"
"Live the dream! Newly renovated single level home w/3 bedrooms & 2 bathrooms, bonus room could be 4th bedroom. Master Suite offers his & her closets. Hickory kitchen cabinets compliment the open concept living/kitchen/dining area. Canning kitchen too! Lovely engineered wood floors throughout. Large garage & shop tucked on back side of home. Fenced level 4.68 acres with barn w/stalls for your livestock. Top of the line Home Warranty." 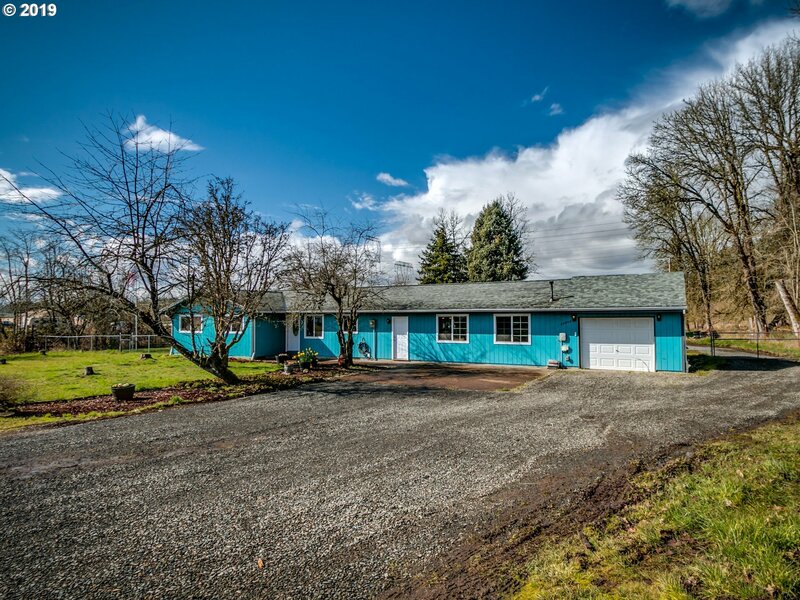 "Beautiful, level 5 acre property w/HORSE BARN & SHOP! Fenced & cross fenced. Four 12X12 stalls w/covered & attached 12x12 walkouts. An additional two 12x12 stalls in back pasture. Hay loft w/hay elevator. Tack room. Power & water in barn! 48x36 shop w/lots of storage. 60' round pen. RV park'g w/water & sewer. Updated & open home w/vaulted ceilings. New in 2017 roof,water heater,carpets,floors,interior paint & most appliances.Low taxes!" "Private 11.68 acre view-property with year round creek and pond! Live in the manufactured home while you build your dream home in the desirable Sandy school district. Multiple outbuildings including barn, shop and chicken coop, plus extra wide road frontage make this a well-rounded opportunity for the savvy buyer. Relax on the back porch and take in the views, or walk down to the creek and be transported to a nature lovers paradise." 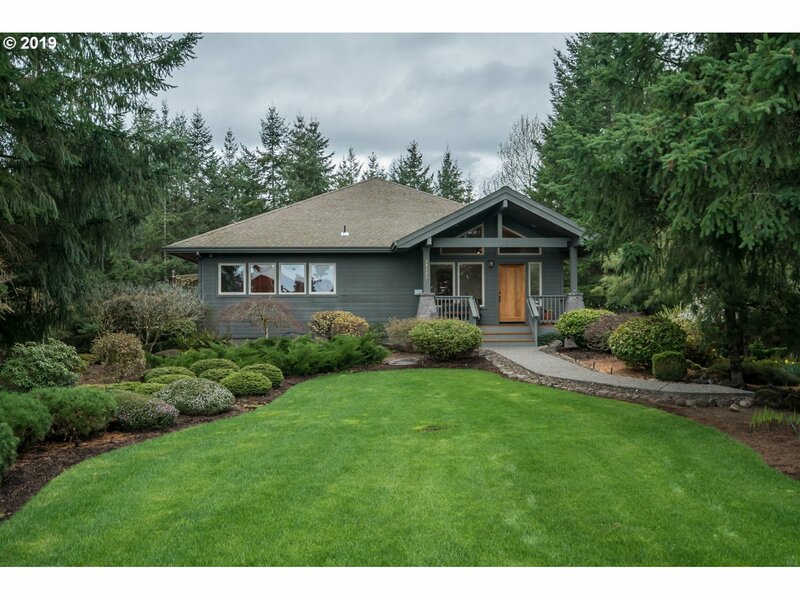 "Top to bottom remodel on this HUGE single story ranch that sits on a beautiful one acre lot. This home boasts all new electrical, plumbing, siding, roof, triple paned windows, designer kitchen w/ quartz counters and SS appliances and more. 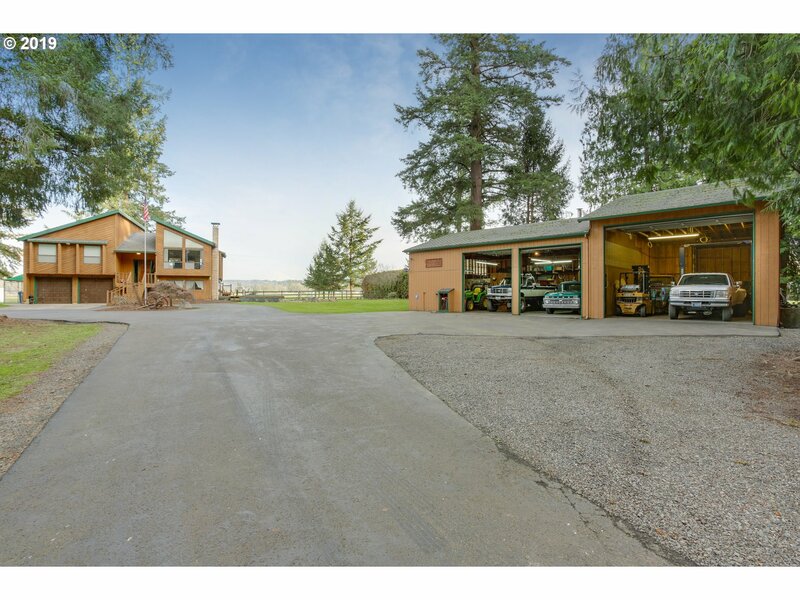 The spacious detached garage is perfect for the hobbyist or home business. The open floor plan is great for families and entertaining." "Boating, floating, fishing this summer? This home is in the quaint neighborhood of Paradise. 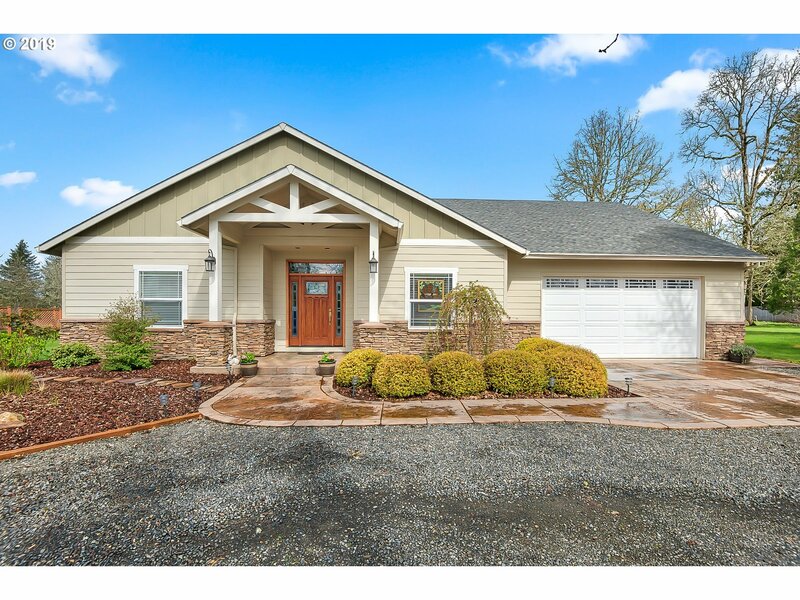 Amazing view of the Clackamas river from the family room & master bedroom, with river access at the back of the home. Home is situated on the opposite bank of McIver Park. New flooring in family room, new bath/shower combo in master bath, fresh paint. Plenty of room to park your RV and boat." "BEST PRICE IN EAGLE CREEK, (MUST SEE)!!! LARGE SHOP, THIS HOME WITH SEPARATE GARAGE, 1/3 ACRE WITH PRIVATE BACK YARD. 3 BEDROOMS, 2 FULL BATHROOMS AND OPEN KITCHEN-LIVING ROOM CONCEPT, (NEWER KITCHEN COUNTER TOPS). SHARED WELL CAN BE MADE BACK TO PRIVATE WELL."